The tall American had a solid year, surely his best ever. His backhand has improved, he doesn’t get so angry on court when he isn’t playing well — which he used to. When he charges to the net, he can be passed, but when he is on top of it, he can put it away. We all know that his serve is massive — 10,937 aces and counting — and his forehand is huge. However, the 33-year-old has yet to reach the final at the Grand Slam. At this year’s Wimbledon, he came very close to beating Kevin Anderson in the semis, but he lost 26-24 in the fifth set. He did win his first title at the ATP 1000, winning Miami. He was extremely pleased. Can he go even higher in 2019? That is a tossup. It is all about him. The Japanese started very slowly, because he had been hurt, pretty badly, but he just wanted to play again. He was a little slow, and a bit nervous, but in the spring, he rose again. He reached the final at the ATP Monte Carlo, beating Marin Cilic and Alexander Zverev and he finally lost against Rafa Nadal. For the rest of the year, he played decently well, but he lost against all the top players: such as Nadal, Novak Djokovic, Roger Federer and Stan Wawrinka — the Slam winners. Here and there, over the years, he can pull a win, but for the most part, they are just better than he is. Yes, he is super quick, and he can jump up in the air, and he can whip his forehand. But to confuse the great players is very difficult. 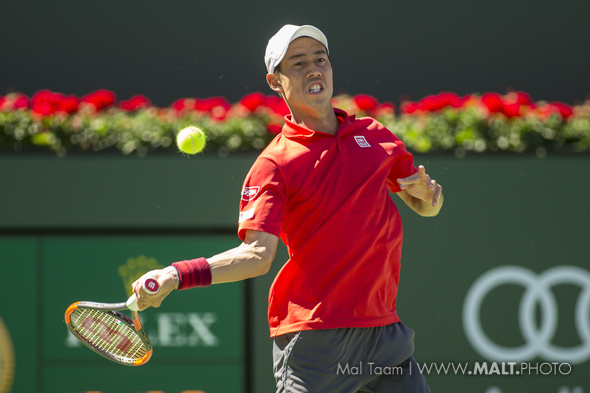 Plus, Nishikori almost always get hurt and pulls out. Who knows what he will do in 2019? Will he avoid his injury factor, or just play on,win or lose? That is a huge toss up. The Austrian has had a pretty good year — not fantastic, but solid overall. He won three events: Buenos Aires, Lyon and St Petersburg. Those were not huge events, but at least he pounded the ball and mixed it up a lot. His biggest event was at Roland Garros, when he defeated Zverev and Nishikori before losing in the final against the Rafa Nadal, who has won it 11 times. There is nothing you can do against him on clay but Thiem kept pushing. At the US Open, they played each other again — on the hard court — and it was a marathon. Thiem played as well as he could, running around, spinning and out hitting him on occasion. However, he lost 7-6 in the fifth. That was brutal, but the fans really liked how he played. He throws in a lot of spin, he can be patient and he can crush the balls on the lines. What’s stopping him? Thiem is 25 years old, not young and not old. Mentally, in the fall, he was tired, so perhaps in 2019, he should back off from playing too many tournaments. If he does, he can win a Slam in 2019. The good thing about the 30-year-old is that on court, and he is feeling good, he can be so comfortable and powerful. He reached the final at the Australian Open, beating Nadal in the quarters when Rafa retired due to injury. He then took down Kyle Edmund in the semis. In the final, he played extremely well at times, but he mentally let it go against Roger Federer in the fifth set. The great RF was locked in, and Cilic didn’t know what he should do. Recall that he did win the US Open in 2014, and Cilic was banging the ball. But that was it. Can he do win another Slam at some point? It is possible, because he has a terrific serve, and strong off of both sides. But, he needs to improve his returns, and strategy. He still has a few more years to get better. If he does, he could lift a trophy at the Slams, in 2019 or 2020. The South African has played so much better over the past two years. Yes, he has not won a huge title, but he has reached finals at the 2017 US Open and the 2018 at Wimbledon. He has a gigantic serve, his forehand is massive, and he actually runs fast. When he gets to the net, on occasion, he bends down, stands up and puts it away. Still, he has to return substantially better, and he use his slice more often. The good thing is that he always practices, so perhaps the 32-year-old will bash into the final at the majors and snag it — finally. The bad thing though is the older you get, it gets very hard to reach the a Slam final again. But, how about winning an ATP 1000 for the first time in 2019? That would be thrilling for Anderson. Petra Kvitova continues to be a force. The 21-year-old Russian played substantially better in 2018, reaching the final of Dubai [upsetting Garbine Muguruza] and Indian Wells [stunning Venus Williams] and winning her first title in Moscow. Towards the end, she was a little tired, but that happens a lot when they are very young and never stop. Kasatkina isn’t that tall, but she is agile and quick. If she keeps it up, at some point, she will reach the top 5. The smart Netherlander has finally changed things, doing more with her shots and mixing up. She has not been great at the Slams throughout her career, but this season, she won Charleston, Cincinnati and Seoul. That is more than pretty good. In the WTA Final, she beat Angie Kerber and Naomi Osaka to reach the semis, and then she lost a terrific three-setter to Elina Svitolina. Next year, the 27-year-old should go much deeper at the Slams, by being ambitious and out-hitting her opponents. but she went down 6-4 in the third against Angie Kerber. That was very respectable. This year, Pliskova won Stuttgart and Tokyo. Plus, she reached the quarters pretty much every month. But, she has lost against a number of fine players, like Simona Halep, Vika Azarenka, Svitolina and more. Pliskova is very good and she has a gigantic serve, forehand and backhand. So what’s stopping her from grabbing a Slam in 2019 other then collapsing at the end of matches? Nothing. The happy-go-lucky player loves to play. The good thing is that now she is faster and she can play for hours and hours. When she is on top of the ball, and nails a winner, she will scream in delight. Here is the crazy thing about Kvitova: this year, she won St. Petersburg, Doha, Prague, Madrid and Birmingham. Pretty good, huh? However, at the Grand Slams, she was unable to reach to the second week. As she has said, that was not good, at all. She has won two titles at Wimbledon and she has reached the semis at the Australian Open and Roland Garros. Because of that, in 2019, she will have another chance to go very far at the most important events. She is swift, very powerful and can throttle the ball. As long as she is patient and healthy, she will be in the chase to take of many of them. While she couldn’t win a Slam this year, still, she went deep a lot, although at certain moments, she frozen and lost. Without a doubt, when she is on top of it, she will be so steady, move the ball around until she has a really good shot to touch the lines. She won Miami in April, beating Muguruza, Kerber, Azarenka and Jelena Ostapenko. Then on clay, she was a little bit lost, but somehow she reached the final at Roland Garros. She was on fire, winning the first set against Simon Halep, but in the next two sets, the Romanian rose up and Stephens disappeared. The 2017 US Open champion lost in the quarters this year. In the fall, in 2017, she didn’t play well in the fall. Then, she decided to push herself, and that worked, as she reaching the WTA Final, beating Pliskova in the semis, but she lost to Svitolina in three sets. Overall, she continued to show she is an elite player, but the 25-year-old still has to improve a few more things, like her second serve and net play. If she does, in 2019, Stephens will win another major. I promise that. What a year for Tsitsipas. He was ranked No. 131 during the fall of 2017. He ended up 2018 ranked No. 15. For the 20-year-old, he rose way up and he was upbeat. Even during the fall, he changed a dramatic amount. For him, he was mentally smart, more aggressive and stronger. 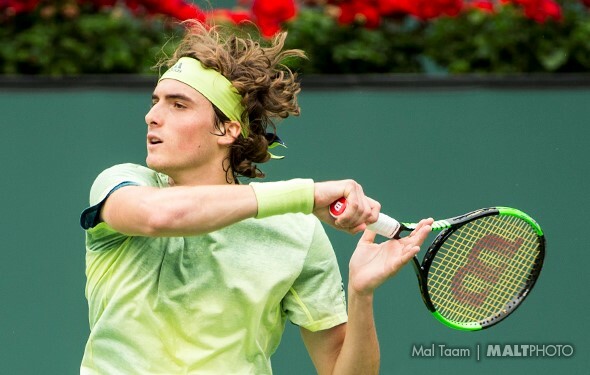 The Greek Tsitsipas reached the ATP 1000 Canada, upending Dominic Thiem, Novak Djokovic, Alexandra Zverev and Kevin Anderson before losing to Rafa Nadal. He won Stockholm, and he grabbed the Next Gen ATP Final. He may be a little bit erratic, but as long has he continues to get better, he will push in the top-10, and maybe even further. When he is erratic, the Brit showed that he is worried. But now, Edmund, who finally appears to believe in himself. Without a doubt, he can be confused on court, and he needs to be better with his returns. When moves forward, his returns improve substantially. In the Australian Open, he reached the semis, beating Grigor Dimitrov before he lost to the huge serving Marin Cilic. During much of the year, he was spotty. In the fall he kept working off court and on court, and he won Antwerp in October. Look, Edmund has to go into the net and put it away — more frequently. He still has a lot of work ahead, but if he does, in 2019, he can even reach the final at a Slam or in the ATP 1000. He will move up, that is for sure. During the last two years, the Italian has been so much more consistent and he is calmer than he used to be. He can smack the forehand and backhand, he is very quick and intelligent. For sure, he can still become angry, and extremely frustrated, and his brain blows up. However, when he begins to breathe, and look at everything, then he can become very intelligent and he can hit so many cool shots. Fognini won three events this year: Sao Paulo, Bastad (on clay) and Los Cabos, on hard court. That shows consistency. However, he has yet to reach to the finals at the Grand Slams and the ATP 1000s. Clearly, he wants to do that for the first time. He is 31-years-old, and he has a few years left, but in 2019, he needs to lock it in and stay there. A year ago, I wasn’t sure that Coric could focus enough to succeed. In 2018, he played substantially better, he began to grow up, and on court, he decided that he would grind until the sunshine went down. And that’s he did, playing many long rallies — super, long rallies — and when he had an opportunity, he would strike, instead of just hitting the ball back. He won Halle. In October, he reached the ATP 1000 Shanghai in the final, upending Stan Wawrinka, Juan Martin del Potro and Roger Federer, before he losing to No. 1 Novak Djokovic. That was his best week, ever. Next year, he will push really hard to reach the top 5. He is ready, but can he go very deep at the Slams? That will be an investigation. The tall Russian had a terrific fall. He captured the Paris Masters, shocking four top 10-ers: John Isner, Zverev, Thiem and Djokovic. The 22-year-old also won Moscow and Marseille. At the US Open, while he lost against Rafa Nadal, it was very close. He is a huge hitter on both sides, and his serve is massive. But, like the younger players, he does not return very well. Khachanov has to continue to work on his returns; I mean for hours and hours because the Grand Slams winners — like Federer, Djokovic, Nadal, Andy Murray and Wawrinka — they return consistently and deep. Other Russians – Marat Safin and Yevgeny Kafelnikov who won a couple of majors – could jump on the first and second serves. Not only where they capable of putting it away at the net, but were devastating with their return game. The young 6-foot-6 Kachanov is taller and hits harder than both of them. As he as said, he works off court all the time. So in 2019, if is he continues to revamp, he will be there deep in many semis and the finals. He is that good. It has taken the Aussie a couple years to get good again, because she had stopped playing tennis for a solid year. But she really missed it, so she came back to the WTA and month after month, she was more comfortable in singles, hitting it a little bit harder and understanding exactly what she needs to do. Barty plays a lot, and she also likes doubles, too. In singles, she can lose, but only against the top 10-ers, not against the mediocre competitors. She looks excellent and steady on the hard courts and grass, but on clay, she still has a lot of work to do. However, next year, it she continues to improve, there is no doubt that she will walk into the top 10. In Australia, coming up soon, watching Barty play in Melbourne will be fascinating. It took the German a very long time to become very good, and this year, the 30-year old finally cracked the top 10 in August. At Wimbledon, in early July, she reached the semis, beating Kiki Bertens in the quarters, and then she lost to the famous Serena Williams. Regardless, over the past year and a half, she became more intelligent, she boosted her forehand and her first serve. On court, she is smart. At the end of the year, she won Luxembourg, taking down Belinda Bencic. Goerges has played on tour for the past 12 years. Will get better and better in 2019? Possibly, if she can impose with her second serve and return. The 20-year-old is rising extremely fast. At the start of the year, few people knew who she was, but from the summer on, she was locked in and pretty focused. The Belarus upset Caroline Wozniacki in Montreal before losing against Elise Mertens. In Cincinnati, she beat four very good players – Jo Konta, Karolina Pliskova, Caroline Garcia and Madison Keys – before losing to No. 1 Simona Halep. She won New Haven, and at the US Open, in the fourth round, she nearly beat Naomi Osaka — who eventually won the tournament — but she went down 6-4 in the third. Both of them are two huge hitters. Sabalenka kept moving forward, winning Wuhan, beating down a number of very good players. Assuming she stays healthy, she will continue being fast, intelligent and steady. Without a doubt, soon enough, she will reach the final of a Grand Slam. She is all in. The Belgian also began to climb up the hill. This season, the 22-year-old won three events: Hobart, Lugano and Rabat. Exactly two years ago, she was ranked No. 120. Now she is way up there. At the 2018 Australian Open, she upset Elina Svitolina, but in the semis, Wozniaki pushed her back and she lost. Much of the year, she was pretty steady, quick and keeping her head up. She doesn’t always crush the ball, but she can touch the lines, and she can redirect the ball. Her serve is marginal, and she doesn’t often rush the net, but she is getting better. If Mertens wants to make the top 10, she has to push herself, even when she isn’t playing great. That is critical, all of them. The veteran had a fine year, entering the 2017 US Open, stunning Svitolina and the champ Sloane Stephens 6-2, 6-3, finally losing to Serena Williams in the semis. Now that was massive. Really, during the entire year, she has been logical. In the fall, she reached the final in Beijing, beating Osaka before losing to Wozniacki. She hustles, she is very intense and thoughtful. Sevastova retired for a few years because she was severely injured. But eventually she came back and now she is pretty sharp. As long as she can stay healthy, she will continue within the top 20 for a long time. Where did the Italian come from, so suddenly? A few years ago, he looked OK,but this season, the 26-year-old rebelled and he was much more dependable —early on. He won Umag and Budapest, which was not a Slam, or in the ATP 1000s, but still, at least he stuck in there. More than that, at Roland Garros, he stunned David Goffin and Novak Djokovic to reach the semis before he lost to Dominic Thiem. That was impressive. But, after that, he barely won a match during the next five months. He must regroup ASAP or he will begin to drop hard down the rankings. Here comes Australia. The Bulgarian looked so good in 2017. He concentrated, focused and hitting the lines. But, not so in 2018 as he slipped, pretty badly. Of course, he is still in the top 20 in 2018. Now, when he is on court against the great players, you can tell that inside he is nervous and almost immediately frustrated. Here and there, he won a few good matches, but it was rare, and he lost to all the elite competitors, like Rafael Nadal, Roger Federer, Djokovic, Stan Wawrinka, etc. Healso lost to the very good players like Marin Cilic, Kevin Anderson, Milos Raonic and Kei Nishikori. The only real accomplishments in 2018 were reaching the quarters at the Aussie Open, beating Nick Kyrgios before losing against Kyle Edmund. In February, Dimitrov made it into the final at Rotterdam, but Federer crushed him 6-2, 6-2. After that, he did nothing. At all. However, he is an excellent player when he is on. Still, he has to believe himself again. Will he do that in January? I have no idea, but it will be intoxicating to watch him. The 27-year-old Canadian was OK, here and there, but he has said that he wants to win a Grand Slam. Most people do, and two years ago, he reached the 2016 Wimbledon final, and he was ready to rock. He upset Federer in the semis — a great win — but in the final against Andy Murray, the Brit took him down.Murray was very thoughtful, and he returned well, too, on grass, while Raonic couldn’t break him. 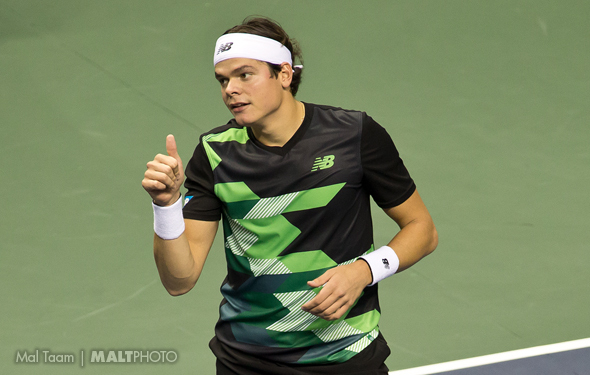 Clearly, Raonic has improved a decent amount — especially his backhand — but also, he gets hurt a tremendous amount. Plus, while he has won eight small or medium titles, he still haven’t won an ATP 1000, even though he has lost three finals. In 2019, if he wants to win a gigantic event, he has to breathe, be solid and creative, and once in a while, have some fun. The Argentine plays a ton, but a few years ago, he was so-so. Yet in 2018, he became more skillful on clay. He is still trying to figure out the hard courts as well as the grass, but he will rush the net here and there. His legs are strong and he can be very steady. Just like Cecchinato and Dimitrov, after Schwartzman reached the quarters at Roland Garros and lost Nadal in four sets — a pretty good match — he went down from June through November. Of course, he works a lot, but is he changing any type of tactics in 2019? I would hope so. Finally, here, among these five players, we have a 22-year-old. Russian Medvedev is getting better all the time. He is 6-foot-6, he can smoke the ball, and this year, he won three titles: Sydney, Winston-Salem and Tokyo. Obviously, they were not huge tournaments, but in Tokyo — a good event — he upset Raonic and Nishikori to grab it. To beat the Japanese in front of everyone in the final was very important. Plus, when he started the year, he was ranked No. 65, and he has to qualify at Sydney. He went all the way, taking seven matches in a row. Medvedev is obviously very healthy and pretty lethal. Without a doubt, he will push into the top-10 pretty soon. The Chinese player started the year ranked No.45, but then she dropped into No. 91 in May. She was struggling and she was upset, but she kept plugging and she regressed. In September, ka-boom, she won Guangzhou, and she took off. She went deep in Wuhan, Beijing, Hong Kong and Zhuhai. “Now I’m doing well. This is kind of a surprise for all of us,” Wang said. “I believe at this stage when I’m relaxed, I can do better.” Yes she did, and in 2019,perhaps she can change her approach to the Grand Slams, given that she has yetto reach the second week — ever. If she relaxes, she sure will. The Frenchwoman had a terrific 2017, winning everything during the fall, In 2018, she was under pressure at certain times. She did beat Maria Sharapova and Vika Azarenka, but she lost against Angie Kerber a lot, and the now No. 1 Simona Halep, too. Garcia can run and run and she can mix it up,but she can also hit it pretty short. She was able to rest in November andDecember, so when she arrives in Australia in 2019, she will look fresh. If she begins aggressive, she will return into the top 10. She is still very good. The Spaniard has won two Slams, but in 2018, she slipped, and she slipped again. She can dominate with her backhand and forehand, and she swings hard on the return. She can be focuses and analytical.But, last year, her brain melted down and she was gone. Of course, Muguruza gets hurt a lot, but so many people do, so it’s more important that she can be tranquil and totally focused. Yes, the 25-year-old is darn good, and yes, she can win another Grand Slam, but can she do it in 2019? That is a tough call. The American has struggled at times, on court and off. At the Slams, she has gone deep, reaching the semis in the 2015 Australian Open, upsetting Venus Williams. In the 2017 US Open final, she was playing great, she knocked out Elena Svitolina in three wonderful sets, but int he final, she froze against Sloane Stephens. This year, Keys made it into the semifinals at Roland Garros and, believe it or not, she beat Naomi Osaka before she went down against Stephens again. In Flushing Meadows, she got to the semis, and she was playing just fine, and then, Osaka rose and beat her, and Keys couldn’t figure it out. However, at least she can go deep at the majors, while other peoplec annot. But, at this point, the 23-year-old has only won three events:Stanford, Birmingham and Eastbourne, a while ago. This year, she didn’t reach the finals and she lost early during many months. At some point, Keys needs to stay healthy for a long time, rather getting hurt a lot, year after year. When she is robust, she is excellent, confident and aggressive. Keys can win a GrandSlam in 2019, or at least a huge tournament, like maybe Indian Wells, Canada or Cincy, a Premier Mandatory. She just has to. The 37-year-old Serena had a decent year — not by her great standard, but there were times when she played fantastic. Recall that the most important things is when she plays she wants to win badly. Off course,she will say “no big deal,” but she has admitted that there are times when she is so intense, trying hard to relax. When she isn’t hitting the ball well, inside she will become angry, especially at the majors. Serena has won 23Grand Slams, which means for many people say that she is the best player ever,even though she is one behind the Aussie, Margaret Court (24). Can she tie her in 2019? But that is another story. This year, in 2018, Serena played only seven events. She returned in March, after she had a baby, and it took her a while to get into playing shape. But, by late June, she was much more comfortable and faster, and she reached the final at Wimbledon, but she went down to Angie Kerber. No big deal. 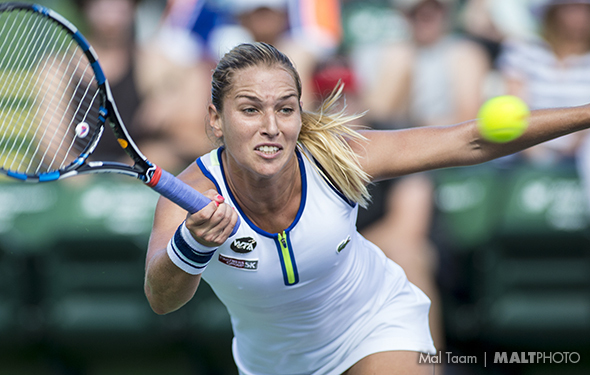 She returned back in the United States, and in July, she lost very early in San Jose and Cincy. But, she was hurt, until she arrived at the US Open in late August. Now,in 12 days, she looked locked in, and she won six matches in a row. But in the final, she had to play even better, becauseNaomi Osaka was on fire — Serena lost to her quickly in Miami five months ago —but the American couldn’t pull it off. Osaka served huge, and she attacked all the time, with her forehand and backhand. Serena was mediocre, at best, and she lost 6-2, 6-4. Yes, Serena screamed in the second set, at the umpire, and others, so, so loud and super angry. She lost it. Now it happens to most people, getting angry and yelling. Did Serena explode, and afterward, did she talk to the 20-year-old Osaka on court,during the ceremony? Yes, she was very nice with Osaka after it ended, who started to cry, because many fans booed at her, and Serena consoled her. But,did Serena apologize for yelling for so many minutes in the second set? In her press conference, she didn’t, she was still upset, mentally, and that was a mistake. After that, she hasn’t played since then. I have known her since she started back in 1993,traveling with her older sister, Venus, and eventually, Serena started playing in the WTA tour in 1995. At that time, she was so young, and when you are that young, the teenager can be a little off, emotionally. We all have. But 15 years later, she matured and outside of playing tennis at the tournament, she can listen, think and be helpful. Next year, in 2019, it will be fascinating tosee how well she plays; when she plays, or whether or not she will play at all.In January, we will find out and discover whether that she really wants to playagain. Or not. Let’s us see who it goes. I really like watching the South Korean. Chung is very quick and agile. He is only 22 years old, so he has time to grow. But this year, at times, he was injured too much in 2018. One way or another, he has to figure out what is going on, because while he was moving up in the first three months, then he stopped and he lost at many tournaments. Hopefully, in January, he is confident, because he reached th he 2018 Australian Open semis. If he is unable to get to the second week, then he can drop way down. Chung hopes not. Two of the Spaniards are right next to each other, and they are both older, too. Roberto had a decent year, but just liked Busta, they are all behind Rafa Nadal. They have been there in the past 10 years, trying hard, but Nadal locks in and changes what he has to do. But, while Agut tries hard on court, that doesn’t mean that he can crack the ball all the time. At least in the start of 2018, the 30-year-old won Auckland in January and he also took Dubai in February. Those were two terrific wins but since March, he was mediocre. Bautista Agut can’t seem to beat the top 10-ers very much. Maybe next year, he will. Finally. This is almost the exact same thing from Mr. Pablo, who did well during the first three months, but then he did very little. The 27-year-old reached the fourth round of the Australian, and he was pretty close to upsetting Marin Cilic, but he went down. 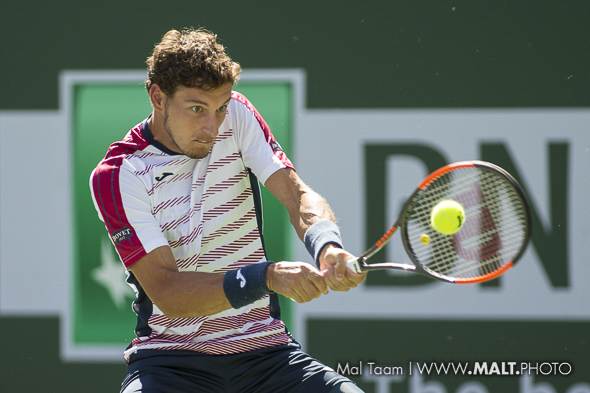 In Miami at the beginning of April, he reached the semis, upsetting Kevin Anderson before he fell to Alexandra Zverev. He looked good again in Barcelona, reaching the semis, so he was moving up. He was ranked No. 11, but after that, he could not push himself enough, and he must have been nervous, which is why he went down. He is a very good hitter, and he runs well, so in 2019, perhaps he will focus better. Belgian David Goffin had a decent year, but not great-great. The 28-years-old was pretty hesitant in 2018, playing really well at times, but he also backed off and he missed some easy shots. In 2017, he was super confident and he reached the top 10, but now, he is confused. He is very fast and he can jump on the ball, but in 2018, Goffin has to step on the gas, once again. This is very interesting year for the Georgian Basilashvili, who had 29 wins and 28 losses this year. Is this very good, or so-so? In October, in China, he won Beijing, beating Kyle Edmunds and Juan Martin del Potro; clearly, he is aggressive and theatrical. In July, on clay, he played Hamburg, winning seven matches in a row, and he took a trophy. He started the year ranked No. 59, and now he very close to reaching the top 20, and even higher. It sounds like his coach, Jan De Witt, is making the right path for Basilashvili. The 29-year-old Slovak has played so many tournaments, with winning 446 and 280 losses. Can she eventually hit 1,000 total? Possibility, for sure, but she will need more than a few years more on tour. Sure, she isn’t tall, but is super intense when on court. She is still swift, she celebrates and she can yell. Her serve is marginal, but both her forehand and backhand can be deep. She believes in herself, most of the time, and when she isn’t playing well, she will still try and try again. Cibulkova did reach the 2014 final at the Australian Open. Can she do it again next month? You have to give her an opportunity, at least a little bit. What a year by the 30-year-old, who was out for years because she had a shoulder and knee injuries. In July, she won San Jose and upended Elina Svitolina at Roland Garros and Birmingham. She is a big hitter and he’s hitting her stride. Buzarnescu started the year ranked No. 59, and now she is close to reach the top 20, or even further. Not bad. Good, in fact. The 30-year-old veteran had a fine year. 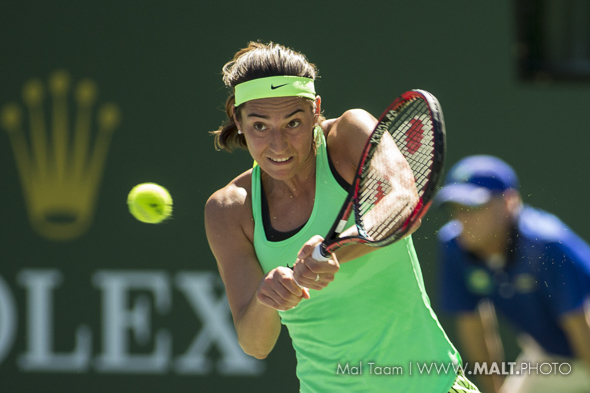 Yes, the Spaniard won’t be able to win a Slam, but she is always out there, trying, re-tooling her tactics. Years ago, this one-hander was way back behind the court. For sure, she was very steady. But, in order to upend the most important players, she had to run forward. She didn’t do it enough, but only once in a while. Now, she can attack while remaining steady. Suarez Navarro has been around for 15 years. Give her another five years, because clearly, she loves playing the sports, win or lose. At times, the Latvian is so, so good. In 2017, she won Roland Garros, moving quickly and blasting off of both sides, nailing on top of the lines. Sure, she can rack up a ton of errors. But, when she is excited and thinking on court, she can lock in. However, this season Ostapenko dropped, and she lost a number of important matches starting in August. Good thing she reached the semis at Wimbledon, but she lost in the first round in Paris to Kateryna Kozlova. She wasn’t there. The 21-year-old is still young, so in 2019, she will play great at times, but still, she has more things to improve, and to figure it out. The Estonian had some terrific wins, outside in the Grand Slams, but she did reach in the final in Wuhan, upsetting the 2017 US Open champ Sloane Stephens and she finally lost to the young riser Aryna Sabalenta. In Rome, she knocked off Venus Williams and Carolina Wozniacki before she went down to Elina Svitolina. Kontaveit can be very aggressive, and she can crack her forehand, but on court, she can get alarmed and she can totally lose it. The 22-year-old should get better next year, and improve her backhand and net play. If she does, she can reach the top 10 in 2019, at some point. And then? The 33-year-old Frenchman will go on and on, tournament after tournament, city after city, rarely stopping. Yes, he has never won a major, and it is unlikely that he can do it now, but still, at least he has changed his tactics, which is why he can compete against very good players. Simon has never won a huge event, but he has won a bunch of 250s. In 2019, maybe he can reach the final at the ATP 1000s? Possible. Another Frenchman, the 32-year-old has come close to grabbing an ATP 1000, but he has yet to do it. When he is healthy, then he is very competitive and hilarious. But he has been hurt a huge amount over the last 10 years, his legs especially. His forehand and his first serve are forceful, and his backhand is a little harder now. 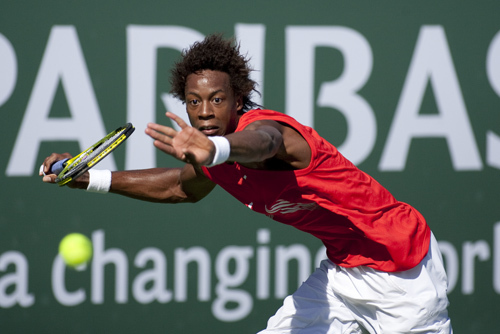 Monfils has reached the final of the ATP 1000 in Paris twice. Can he do that again in the fall next year? Sure, why not, if his legs hold up. The Spanish veteran is very similar to Monfils, who has a tremendous forehand, his first serve and he is still very quick. Years ago, in Australia, in the semis, he was close to upending Rafa Nadal. It took more than five hours, which was a fantastic contest, but in the end, Rafa pulled through. The 35-year-old Verdasco has played 909 matches — which is a lot — and he has beaten some fine players. However, while he is very good, he is not great, which is why he won’t win a Grand Slam. In the ATP 1000s, he does have one small chance next year. If he did prevail, he would totally thrilled. The Canadian is young — 19 years old — but he is very, very good already. He hustles, he has a big first serve, forehand and backhand. He can get frustrated, and he loses the control. After May, he lost a lot of matches, and it appears that he played too much because he is so young. I would imagine, though, that he is practicing a lot, so in 2019, he will be smarter and wiser. The third Frenchmen in the group, Gasquet is 32-years-old, he has heavy topspin, he still can be quick, and once again, he plays a tremendous amount. Eleven years ago, he reached No. 7 and it looked life he would win a major, but at the Grand Slams, he gets too nervous. At least he reached a few ATP 1000s, twice in Canada. Gasquet does like hardcourt, grass and clay. His all-around abilities are admirable but can he even get better in 2019? Question mark. The 24-year-old Belarussian didn’t play great at the Grand Slams, but she did reach the final of Brisbane, and at Wimbledon she upset Petra Kvitova and Daria Gavrilova before falling to Jelena Ostapenko. She can be forceful, and at times, she can be powerful, but at the US Open, she was double-bagled by champion Naomi Osaka. Ouch! Still, Sasnovich moved up, so in 2019, maybe she will be calmer on court and crack the top 20. The five-time Grand Slam champion had a so-so year. When she was healthy, she looked pretty good — and very good at times — but once again, she was hurt a lot. Mentally, on court, she is up and down, being confident or confused. Hopefully, in 2019, Sharapova will be healthy, patient and a little bit faster. And how about this? Maybe she will come in more at the net and actually put away a few volleys. That would make her extremely happy, because over the past 17 years, she has backed off at the net. One way or another, when she is feeling good, she can beat just about everybody. Another long-time veteran, the 32-years-old has won a number of big contests in doubles, but in singles, she was hesitant. Now, in singles, she is finally aggressive and steady. In September, she won Hiroshima, but without facing the best players. At the start of the year, she was ranked No. 103. She upended Garbine Muguruza and Aga Radwanska at the Aussie Open before losing to Angie Kerber. Perhaps Hsieh can reach the top 15 in singles? Hmmm. There are so many veterans who keep trying to move up — way up. At the US Open, during an extremely hot day, in the fourth round, the Ukranian was collapsing. She could barely move. She was almost puking. Somehow, she stayed in there and, in the middle of the second set, she started feeling better. The 29-year-old won it, beating Marketa Vondrousova 6-7, 7-5, 6-2. “You need to survive,” she said. She sure did. However, Tsurenko did nothing during the fall; so next year, she has to be more solid. The Italian did improve a good amount this year. She won 38 matches, and she lost 20. For her, that is pretty darn good. She won Linz, at the end of the fall, saying that, “I think it’s very important for the future.” Giorgi had a terrific and tough match against the great Serena Williams at Wimbledon, losing 6-4 in the third. The same thing occurred at Roland Garros; she was so confident in nearly upsetting Sloane Stephens, very deep in the third, but she went down 8-6. Close, but no cigar. Giorgi has always been super aggressive, but now, she is a little bit more patient, which is a good thing. In 2019, she has to go even further.